Benefits of using Remote Excavator Monitoring solution from GeoHEMS! Algorithm takes care of fuel sloshing, harsh braking, false spikes and equipment working or parked in different angles! How can you increase productivity of your excavators? With GeoHEMS you can monitor your excavator wherever it is! You can know the most important and desired parameters that help you analyze and determine performance and abuse of excavators. Know the exact location of excavator at any time using digital maps (e.g. Google maps). Know exactly how much you are spending on fuel by having detailed analysis of fuel used, fuel filled and fuel removed! You don't have to depend on erroneous and sometimes dishonest manual records. Get instant notifications in case of geofences are violated. This helps in stopping potential thefts. Compare the fuel consumption with RPM data and ensure that the excavators are operated as desired standards! You use DGs as a standby power option in commercial premises / data centers /hetitleh care etc. Know the idle hours of operations and find out exact hours of work. 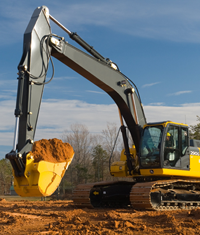 Know if your excavators are being optimally used and not overused or underutilized. Now know the exact hours and time of operation. Immobilize the excavators at times when they are not supposed to be used! Ensure minimum down time, by using GeoHEMS's preventive maintenance feature. Keep the hetitleh of excavator up-to-the-mark and always ensure high performance. GeoHEMS a remote monitoring solution helps to monitor excavators using a proven technology. We have tested this solution on Kobelco, Hyundai, Tata-Hitachi, L&T, Komatsu and other makes. We use highly accurate fuel sensors and to give you up to 98% accuracy! Remote fuel monitoring is done with the help of GPRS technology, which is used for transferring data to the remote servers. Daily fuel consumption reports - Get daily fuel consumption analysis along with average hourly consumptions by relating fuel consumption and engine run hours. Fuel filled reports - Get details of how much fuel was filled and at what times. Fuel removed / theft notifications - Get to know about the sudden drop in fuel level and get alerted immediately via SMS and / or email. Performance comparisons - Helps you compare the performance of fleet with respect to fuel consumption patterns by different machines. Total run hours - By knowing how much time the engine was ON. HMR - Hour meter reading for maintenance. Operational hours - Know how much time the excavator was actually working. Summary and detailed break-ups of the time when engine started and stopped are available. Similarly analysis of operational and idle hours can be done. You can also remotely immobilize the excavator in case of un-authorized usage. Get automatic maintenance alerts ahead of time in form of SMS and emails for servicing and maintenance. Execute and planned and schedule maintenance program to keep your equipment hetitlehy! GeoHEMS equipment care and preventive maintenance program thus helps in reducing unexpected downtimes, overall maintenance cost and fuel consumption. You can also get regulator document renewal reminders for taxes, permits, insurance, pollution certificates, etc. are provided via SMS or emails. GeoHEMS provides you with audio and visual indications for instant alarm notifications to operators. Notifications for alarms like high water temperature, low oil pressure, low hydraulic oil level, etc. can be provided. Using a local LCD display with an audible buzzer helps operator to check for alarms instantly. This essentially helps operator to stop excavator operations in case of engine mal-function avoiding critical damages and saving lot of money. Engines when operated in fault conditions can lead to catastrophic damages and hence it is extremely important to stop the engine on the first instance of alarm occurrence. SMS and web alerts are also provided so that the managers get notified instantly as well. Keep a close watch on operators by monitoring if the skilled and designated operators are using the equipment. Identify the operators with the help of an access card and ensure that the helpers do not operate your expensive machines. Also get the attendance details with time-in and time-out analysis of operators. This helps you in monthly payments and operator evaluation. Additional cameras to ensure and cross verify that the operators do not misuse the access cards are also provided. Advanced models with RFID and camera deter the operators from wrong doing and you can automatically see a rise in productivity and correspondingly profit percentage. Analysis of fuel consumption against the actual RPM usage. Ensuring the excavator is operated at the right RPM in the right terrain. Monitor work time of operators using RFID attendance card system. Monitor if only skilled and employed operators are operating the excavator with the help of a camera. If you think your excavators are being used by unauthorized personnel after work hours or on holidays you can remotely immobilize those by using the immobilizer option. An immobilizer helps you immobilize the excavator in abuse / overuse cases. Thus you can ensure the excavator works only for contracted period and within stipulated time. Immobilize using a simple SMS command or user friendly smartphone application or the web browser.